The high-kicking Happy Hoofers--Tina, Janice, Pat, Mary Louise and Gini--have been booked to flaunt their fabulous flamenco footwork on a luxury train ride through northern Spain. But when a blowhard talk show host is found deader than four-day-old flan--with Gini as suspect numero uno--the fiesty friends waste no time stepping into their sleuthing shoes to protect one of their own. The dynamite dancers will have to step up their game before a clever killer brings the curtain down on one of them--for good! The different thing about this book is that the series is written from different points of view. The first was told from Tina Powell's point of view, and this, the second in the series, is told from Gini Miller's. It gives a nice perspective in that you are getting different voices, and as such, different personalities. The five women are the aforementioned Tina and Gini, and also Mary Louise, who is married to George and has three children; Pat, a therapist who also happens to be gay; and Janice, an actress. This time out, the ladies are in Spain, traveling by train and seeing what the country has to offer. When a talk show host dies (and there is no surprise here, since from the first pages we find out that he is a nasty human being, and we know right away that he is going to be the person who gets killed. We have a long list of suspects to choose from, including Gini herself, who made an idle remark that could indeed be construed as a threat, even if she did feel provoked at the time. In fact, practically the only person who liked him was a tourist named Dora, who gushed over him at dinner the night before. I liked the book and the plot, but one thing bothered me: Gini says that each of the hoofers brings something to the table: Tina is the smartest, Gini the funniest, Pat the wisest, Mary Louise the kindest, and Janice...the most beautiful. Four personality traits and one physical trait. I guess if Janice weren't beautiful she'd have nothing to offer. That irked a little bit. The fact that it kept being played up throughout the book (how beautiful she was and how men fell at her feet everywhere they went, but very little about her accomplishments) bothered me. It seemed as if because she was beautiful nothing else mattered. I like to see books with strong women, and if they're beautiful, all to the good. But when this is mentioned as the only trait that's important...this is what cost the book the fifth star. However, the plot was enjoyable and the women were likable, even if because there were five of them, you only get to know anything about one - the narrator - and just snippets of the others. I am guessing that in the rest of the books, the other characters will be fleshed out somewhat. Enjoyable, recommended. Faith and her family are staying for part of the summer with friends at The Pines, a home on Sanpere Island, while they wait for their own home to be finished and ready to move back into. While there, she runs into her kids' old babysitter, Sophie Maxwell. It turns out Sophie has been 'ordered' to the island by her mother, Babs, who is on a cruise with her new husband, and needs Sophie to represent her. Why? Because her Uncle Paul is going to make a decision about who is going to get the family 'cottage' The Birches; and he has invited all family members involved to stay for the month of July while he makes his decision. 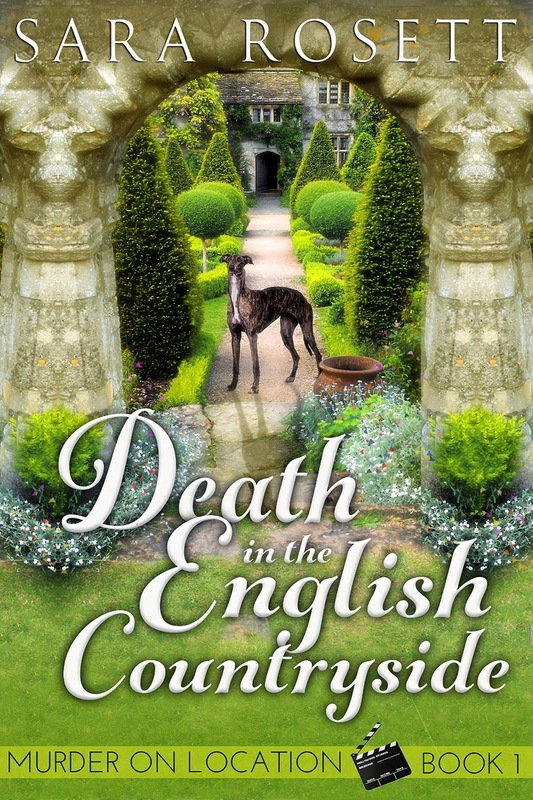 Sophie is reeling from a romance in England that has gone bad. Giving up everything - her apartment and her job - for true love, it was a shock finding her boyfriend in bed with another woman. So she retreats home as fast as she can, and easily acquiesces to her mother, figuring the time away will allow her to heal. It all seems straightforward and easy, until Sophie realizes soon after arriving that not one relative is willing to let go of the home and will do whatever it takes to achieve their ends. And Uncle Paul has invited his nephew Will for the summer, for reasons Sophie doesn't even care to understand. When the family cook/housekeeper, Bev, is found dead from an apparent heart attack, Sophie takes on the duties of the house, cooking and cleaning, with very little (and I mean very little) help from anyone in the family, who seem to think the duties are beneath them, but Sophie realizes things need to be done, and she jumps right in. 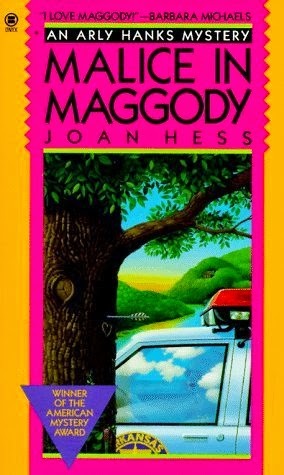 Then Faith's husband Tom is called away because his mother had a heart attack, and Faith remains on the island with the kids; Ben has a summer job at up at the lodge, with an apparent crush on another employee, Mandy; and Amy has made a new friend in Daisy, who is one of the relatives staying at The Birches. So now we have the ingredients for a very good mystery indeed. Ms. 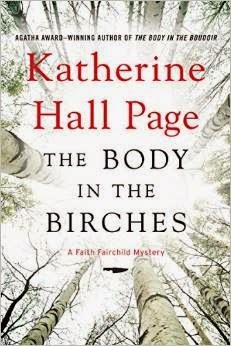 Page has added a wonderful addition to the Faith Fairchild series. There are several stories that mesh together seamlessly, and each told in a way that keeps you wanting more. While I am loath to reveal any more information, I will tell you that this book left me wanting to know more about Sophie and I hope she reappears in another book. As in previous books, the ending ties everything up nicely, and even though this is the 22nd book in the series, it can certainly be read as a stand alone. Highly recommended. The last crime wave to hit Maggody, Arkansas, happened eight years back when a farmer's barn burned down and caught two teens in flaming delicto. That's why Arly Hanks, back in the Ozarks after her marriage went sour in the Big Apple, figured taking the local sheriff's job would give her some needed R & R. What she got was M & M - murder and malice. First Raz Buchanon's favorite hunting dog was snatched, then an EPA official (who okayed dumping sewage in the town's favorite fishing hole) disappeared...and then a pretty barmaid turned up dead at the Flamingo Motel from real unnatural causes. Now Arly's in danger of landing up the creek without a paddle - where the quiet of the Ozarks may be shattered by the sounds of death. Things as in the EPA representative disappears. Completely. Then there is an escaped convict, Carl Withers, too. So the state troopers are called in to find them, and the head trooper, Sergeant Plover, has rubbed Arly the wrong way, and while there isn't fighting, there is certainly animosity between them (even if it is temporary.) When the local barmaid, Jaylee, is found dead at the Flamingo Motel (also owned by Arly's mother, Ruby Bee), things begin to heat up. Now I could go into all the things happening in this book and all the characters - and there are a lot. There is Ruby Bee, aforesaid owner of the motel and also a local bar and grill, Estelle, Ruby Bee's best friend and the local hairdresser, the four members of the city council who hired Arly (one of which who constantly rubs her the wrong way), and several other denizens who hang around the story and add a little local color; but there are too many to mention, so I won't. The story itself was good: a missing man, a dead waitress, an escaped convict - who happened to be married to the dead waitress. They all tie in together, and it was a pleasant enough read, even for an older book. What I didn't like is that Ruby Bee and Estelle - 55 and 53, respectively - were referred to as "old women." Old women? Really? That was a little offensive to almost any woman I would think. I also didn't like the fact that both Arly and Sergeant Plover, even while off duty, drink beer and then get behind the wheel of a car. Not a good idea, even if you've had only one beer. This always rankles me in a book, that the author decides to allow their characters to drink and drive. The last thing that bothered me was her name: Her given name is Ariel, but her nickname is Arly? How? The nickname for Ariel would probably be Arie, not Arly. You'd think Arly would be the nickname for Arlene, or something along those lines. It just seemed "off" somehow. Aside from these three things, I think the book is decent for the beginning of a series, and I will read the next to see if I will continue to do so. Recommended. Deputy coroner Mattie Winston knows a thing or two about dead bodies. That's why she's on the case of Derrick Ames, a high school math teacher stabbed to death with a barbecue fork straight to the heart. Sure, she's turned up some motives and a few suspects, but nothing adds up. Especially when the evidence points to Ames's teenage son. Newly pregnant Mattie can't believe it, even as her own long-estranged father may be following her. But one thing's certain, she'd better start figuring things out fast, or a deadly perpetrator could be subtracting two more victims from the population of Sorenson, Wisconsin. 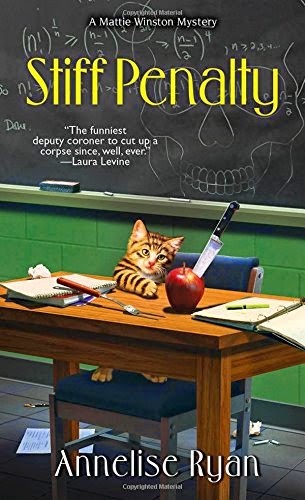 When she is called to the scene of a homicide she finds a high school math teacher, Derrick Ames, stabbed through the heart with a barbeque fork. But, as it turns out, that probably wasn't what killed him. It seems he was also stabbed with a knife, and, as the saying goes, if one didn't kill him the other would have eventually. When all the evidence points to Derrick's angry son Jacob - angry because his mother and father are divorced and he wants them to get back together, among other things - Mattie becomes convinced that Jacob didn't do it. Then Hurley returns to town, and Mattie gets some other news: the police are installing video cameras, and the videographer assigned to help them learn the system is is gorgeous - and she's first teamed with Hurley. But while Hurley and Mattie haven't "solidified" their relationship, it doesn't stop her from being jealous and/or suspicious of the woman. To top it off, someone is trying to kill Mattie. At first it started with phone calls, then a car was following her. When it escalates, Mattie is given 24-hour-a-day police protection, which only irritates her in her present condition, even though she realizes it's necessary; and Hurley isn't helping with his mother hen attitude toward her pregnancy. And oh, there is more, but I won't reveal it here. It was all the subplots (and there were many) of this story that kept me riveted. They were all mixed together, even though one didn't lead to the other. But within them all, there was the key to the entire story; not overt but not hidden, either. And you don't see it coming until it hits you in the face. But instead of slogging through the story to get to the end, the journey is the fun part. Getting inside Mattie's head with her thoughts could leave you with a tangled mess yourself, because the book is told from conversations with her therapist, and then backtracked to when everything happened. As in, 'it all began with...' Which makes for a very good book indeed. The ending, when it comes, is typical of Mattie and you would expect no less from someone who led as complicated a life as she does. Highly recommended and I eagerly await the next in the series. Location scout and Jane Austen aficinado Kate Sharp is thrilled when the company she works for lands the job of finding locations for a new film adaptation of Pride and Prejudice, but then her boss, Kevin, fails to return from a scouting trip to England. Afraid that Kevin has slipped back into some destructive personal habits he struggles with, Kate travels to England to salvage Kevin’s and the company’s reputation before word gets out that he is missing. Increasingly worried about Kevin and with an antsy director waiting for updates about the preproduction details, Kate embarks on a search that includes a pub crawl and cozy cottages as well as stately country manors. 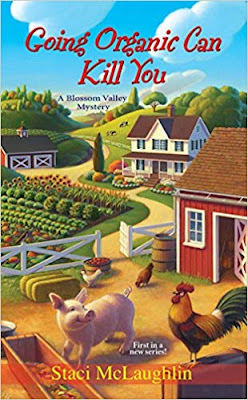 But Kevin remains missing, and she begins to suspect that the picturesque village and beautiful countryside may not be as idyllic as they seem. Kate Sharp is a location scout for Premier Locations, a company dedicated to finding the perfect locale for movies. Her boss, Kevin Dunn, is currently in England, scouting locations for a new version of Pride and Prejudice. When he doesn't return home on schedule, and no one can locate him, Kate is the logical choice to fly over and try to find him - both she and another employee, Marci, are convinced Kevin may have had a 'relapse' and is merely recovering from a bender; in which case it will be up to Kate to find him first and do some damage control. When she arrives, she doesn't find Kevin, so she enlists the help of a local photographer, Alex Norcutt, who was working with him, to see if they can reconstruct his movements. While scouting around for Kevin, Alex shows Kate the locations they were considering using, and she gets to meet several of the people in the village, which is all to the good, because when they do find Kevin - and I am not giving anything away, because as this is a mystery, we all know Kevin isn't going to survive - Kate has a whole list of possible suspects in the murder to choose from. When it is discovered that Kevin didn't die from an accident, but was in all likelihood murdered, in steps Detective Inspector Quimby, who sets about the investigation first questioning Kate's (and Alex's) possible involvement regarding Kevin's death, which doesn't gain any points with her, but the questions still have to be answered. 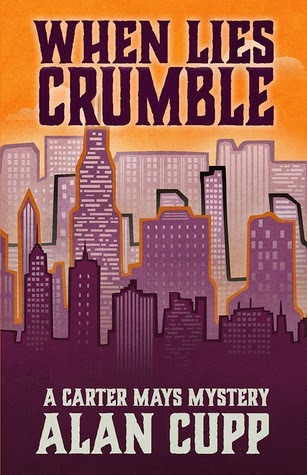 What I enjoyed about this book was the fact that Inspector Quimby played a large part and was not a clueless police officer; he had things well in hand all the way through the book, even if he didn't share with Kate. He came off as someone worth his salt, as it were, and kept his cards close to his chest instead of blurting out everything about the case. I also liked the fact that Kate wore makeup and didn't run around in sweat pants and a T-shirt all the time, as if she were just too busy to be bothered with anything. 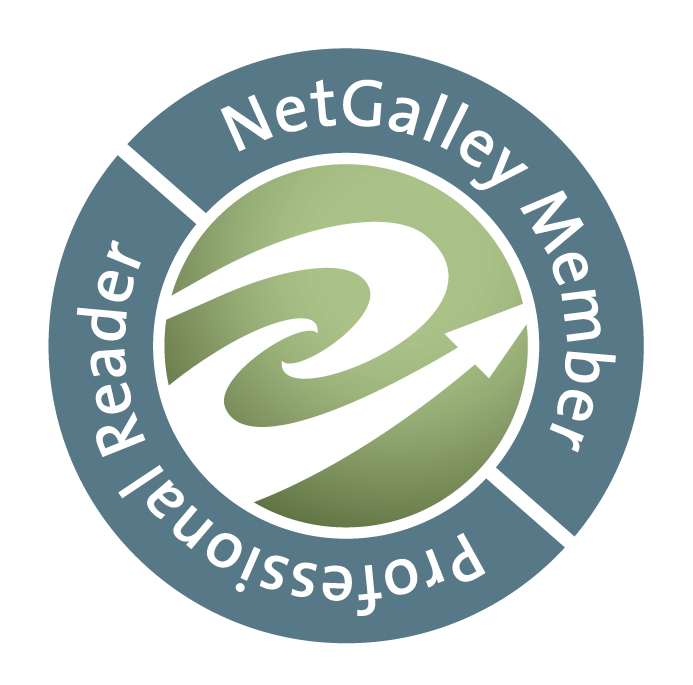 What I enjoyed best was the fact that we have a modern-day mystery tied in with Jane Austen's works, and anyone who knows of Austen or the genre will be greatly pleased. The clues were there in the subplots (of which there were a few), all interesting in themselves. When the murderer was finally revealed, it was tied into something else entirely, and also entirely believable. Here's to a new beginning in a new series, and I eagerly await the next installment. Highly recommended. Chicago PI Carter Mays is thrust into a house of lies when local rich girl Cindy Bedford hires him. Turns out her fiancé failed to show up on their wedding day, the same day millions of dollars are stolen from her father's company. While Carter takes the case, Cindy's father tries to find him his own way. With nasty secrets, hidden finances, and a trail of revenge, it's soon apparent no one is who they say they are. Carter searches for the truth, but the situation grows more volatile as panic collides with vulnerability. Broken relationships and blurred loyalties turn deadly, fueled by past offenses and present vendettas in a quest to reveal the truth behind the lies before no one, including Carter, gets out alive. Tyler Moore doesn't show up at the church for his marriage to Cindy Bedford. Naturally, Cindy's father, Jasper, is upset. When Jasper sends a couple of his employees to Tyler's apartment to see why he isn't answering his cellphone, they discover that the entire apartment is empty, except for the furniture and the cell. When Jasper returns home, leaving his distraught daughter in the care of her mother, Darlene, Jasper discovers something else: his safe has been broken into, its contents gone, save the one item that can identify Tyler: his prenuptial agreement. Enraged, Jasper soon discovers other things that potentially destroy his life, and vows he will do whatever it takes to find Tyler. The next morning, Cindy goes to Carter Mays office and hires him to find her fiancé. She doesn't believe Tyler would just walk out on her, and believes he may have been coerced to do it, even kidnapped. Convincing Carter to take the case was fairly easy, but it seems someone doesn't want him on it - Cindy's father Jasper. So now we have the beginning of a nasty set of circumstances. I can't tell you any more about the book than I already have without giving away spoilers. But let me tell you that it is like a pie that hasn't yet been put together and baked: you have all the ingredients at hand, ready to be mixed. Everything looks good, right up until you pour it into the pan and place in the oven. Then something happens - you either forget about it or turn the heat up too high. Regardless, what you wind up with is a foul mess you wish you would either have not started or paid more attention to. And there's nothing you can do to change one thing, to go back and start over. And this is what happens to Carter. He gets himself in so deep that even though you sense he wishes he would have done things differently, he never says so, and he knows he couldn't, even if he wanted to. Once you're in, you're in deep. And nothing is exactly what it seems. Not Tyler. Not Jasper. Not even Carter. Not the people around them. In the end, Mr. Cupp has given us a new kind of hero in Carter Mays. One I hope will be around for a very long time. Highly recommended. It's opening night at the Ballantyne Foundation’s production of The Nutcracker, but it’s curtains for the Sugar Plum Fairy. 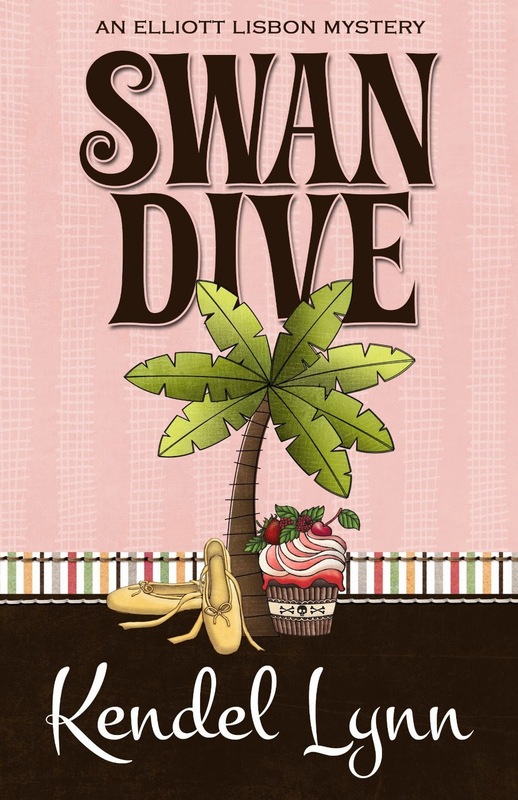 When her body is found backstage, fatally poisoned by a cupcake she baked herself, rumors turn to suicide. But Elli Lisbon, director of the Ballantyne and coordinator of the ballet, smells something rotten amidst the sugar and spice. As Elli applies her PI-in-training skills on the troupe of suspects, she discovers an eccentric herbalist, a temperamental chef, a stalking choreographer, and a bevy of backstage secrets. Between her off-the-record investigation, duty as director of the Ballantyne and highly-charged love life, she finds herself caught in a dance to keep one pirouette ahead of a half-baked killer. Elliott Lisbon, Director of the Ballantyne Foundation, is at their production of The Nutcracker when she is called backstage. It seems the Sugar Plum Fairy of the production is dead, apparently from an accidental poisoning. But Elliott, of course, doesn't believe it, and is asked by the Ballantynes to find the killer. However, this doesn't sit well with Elliott's ex-boyfriend, Detective Nick Ransom, who wants her to stay out of the investigation, and tries to convince her the death was nothing more than a terrible accident, caused when Lexie inadvertently used a poisonous ingredient when she baked the deadly food. But Elliott is having none of it. Lexie was only nineteen and had plans for her life, which has convinced Elliott she was murdered; so under the blessing of her employers, she is determined to find out the truth. But finding the truth is turning out to a lot more difficult, when nothing around her is exactly what it appears to be, and secrets abound regarding almost everyone she speaks with. As the book progresses, we are party to those secrets, and drawn deeper into a mystery of why was this young girl killed, and who could have hated her enough to do such a thing? What I don't like is Jane. She appears to not like Elliott for some reason, and got downright nasty with her, something a professional should not have done, regardless of the situation. That alone was enough to make me dislike her. We are also told that Elliott doesn't eat seafood (which is odd to me because I'd live on the stuff if I could), but we are not told why. I would have liked to have known this (I haven't yet read the first in the series but it appears I may have to in order to get an answer to this question.) Aside from these two things, the rest of the book flowed smoothly along, giving me a chance to sit down and dig deep into the mystery right along with Elliott. All in all, an enjoyable mystery that is highly recommended. 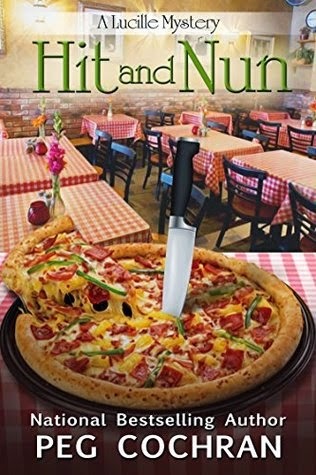 When the owner of Lucille's favorite pizzeria drops dead at her feet, she’s left wondering who could have harmed such a kind man—and wondering where she’ll get her favorite food now. Deciding to go undercover as a pizza maker to sniff out the clues—and maybe an extra slice or two—Lucille’s determined to track down the culprit before they can strike again. As the hunt for the killer heats up, Lucille and her friend Flo dig deeper into the crime and discover a jealous wife, a competitive pizza man who would kill for more business, and a decades-old mystery that may hold the key to the murder. Trouble is, the one person who could break the case wide open is a nun who took a vow of silence—and she’s not talking. Now we already know Lucille and her friend Flo are going to investigate the murder, even though they know they shouldn't. But what makes this book good is the fact that the investigation seems to go in so many different directions. They have no problem questioning anyone, even if it means the police are eventually going to show up. I enjoyed the mystery as well as the back story between Lucille and her family. I did come away with the thought that her daughter Bernadette is one of the laziest people I've ever seen in a book. She almost appears to be a walking zombie, doing nothing but eating and watching television, even if she does have a baby. (Most young mothers I've met are quite harried, just trying to keep it all together, but this girl barely speaks and doesn't do anything around the house to help her mom at all.) 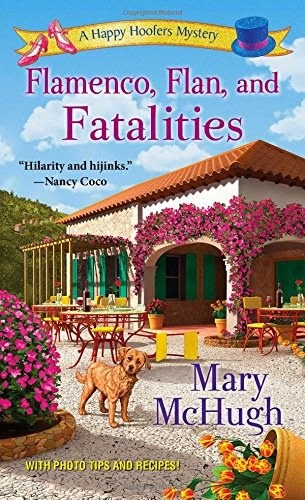 Flo is a hoot, still trying to hang onto her youth at any cost, and even though one isn't old when one is in their fifties, they're still not twenty, and the relationships between Lucille, Frankie (her husband) and the rest of her relatives seem real. The mystery itself was indeed inventive. It made you want to find out what exactly was happening, and why, so much so that I finished the book in one sitting (into the wee hours of the morning and I'll probably suffer for it today!) but I honestly couldn't put it down once things started to get going and more than one person seemed suspicious. The ending was all I could have hoped for, and more. If one thing about the book bothered me, it was the way Lucille talked - I get that she's Italian, but she used a lot of double negatives and spoke differently than every other character, including her mother. Things like "them" instead of "the,"saying "this here" instead of "this," "didn't hear no" instead of "didn't hear any." Her daughter nor her husband speak like that, either, so I don't understand why she does, but I didn't allow it to spoil my enjoying the book, and neither should anyone else. In the end, highly recommended. General Pravda hinders Ekaterina and Scott at every turn and lawyer and client are forced to go on the run for a murder they didn't commit. As they descend into the Hades that is the world of international realpolitik Scott is compelled to reconsider his own values, and Pravda's life's work disintegrates, when Scott uncovers a 50 year-old Cold War secret, which both the Russian and U.S. governments are still trying to hid from the public domain. There are two things I need to tell you about this book before you read it: If you don't care for political thrillers you won't like the book. However, if you find them not only interesting, but intriguing and thought-provoking, you will enjoy the book. 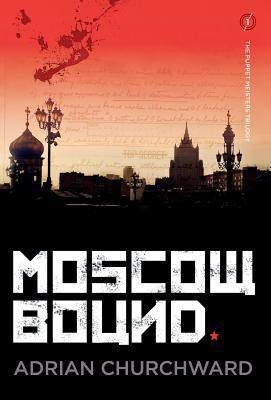 The story begins with Scott Mitchell and his friend Charlie aboard a plane that has just landed in Russia. Before anyone is allowed to depart, however, Scott finds himself in the hands of the FSB, in a small room, being held but not interrogated. The problem, you see, is that Scott is a human rights attorney and has successfully defended the Chechens against the Russians - which the Russians do not like one bit. This has put him in the center of a target, and he is warned that if he is in Russia, he is to be so peacefully. However, this is easier said than done, when at every turn he is harassed by them. When Scott first meets Ekaterina, he thinks she is a plant set out to entrap him. In a short time, however, he realizes his mistake and reluctantly agrees to help her. But then he realizes this isn't just about finding Ekaterina's father, it is something deeper and messier than he would have thought. I don't want to reveal any more of the book, because to do so would give away too much of the plot. I do implore you to read it, because even though it was a little weak on character development - I didn't find myself involved with any of the people, hence the four stars instead of five - the story itself is not only a quick read, it is stimulating and you will find yourself embroiled in the happenings quite easily. Recommended.